Venezuelan President Hugo Chavez, the greatest revolutionary leader of our time. On Tuesday, March 5, the people of Venezuela and workers all over the world lost the greatest revolutionary leader of our time, President Hugo Chavez. Chavez’s death was sudden, but it came after nearly two years of battling cancer that included four very invasive surgeries in Cuba. Chavez won re-election as President of Venezuela handily in 2012, defeating right-wing opponent Henrique Capriles at the polls. Since he was elected President in 1999, Chavez dedicated himself to building socialism and an anti-imperialist mass resistance in Latin America and across the world. Chavez’s legacy was unabashedly revolutionary and pro-worker, cutting unemployment and poverty in half over the course of his 14 years in office. Working with other progressive and anti-imperialist countries around the world – from Bolivia to Cuba, from Syria to China – Chavez oversaw the creation of a new alliance of nations to curb the influence and expansion of the imperialist empire. 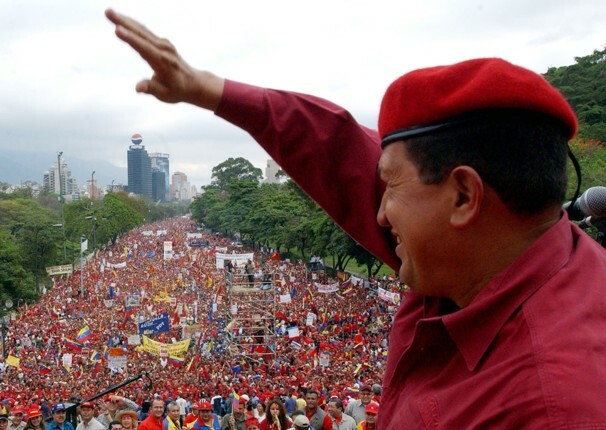 The revolutionary accomplishments of Chavez’s government are impossible to list outright, although Venezuela Analysis has done an incredible job compiling articles about the Bolivarian revolution. Return to the Source wants to publicly extend our condolences to the people of Venezuela on the death of Comandante Hugo Chavez. We also want to extend our best wishes and solidarity to Vice President Nicholas Maduro, a bus driver, trade unionist, and revolutionary socialist who will run for President as Chavez’s successor.